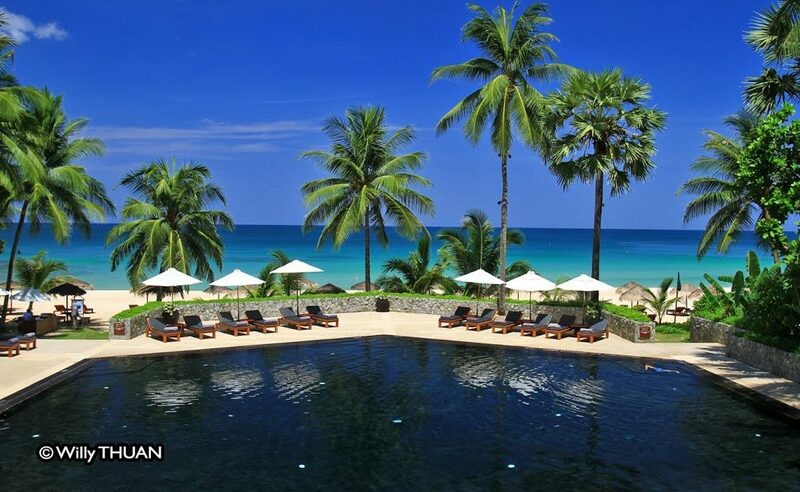 The Surin Phuket is a beautifully designed hotel with a long history and an amazing location on Pansea beach in Phuket. 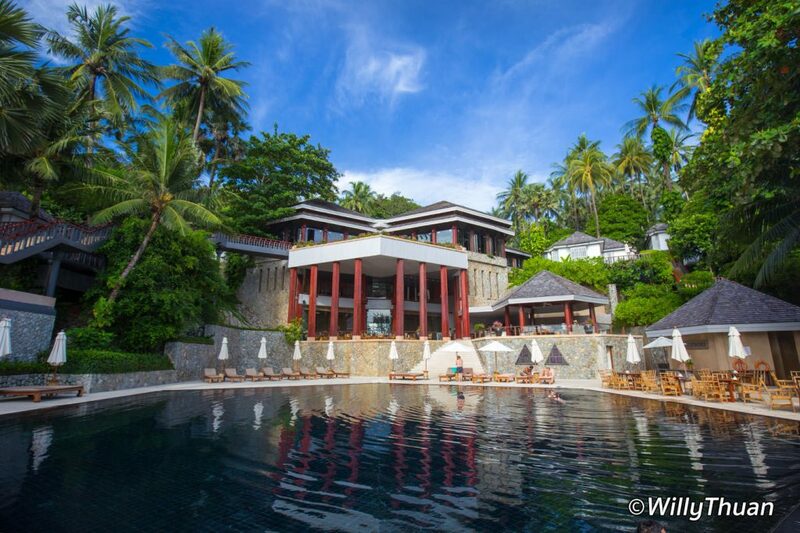 It’s also one of the first luxury hotels on the island. 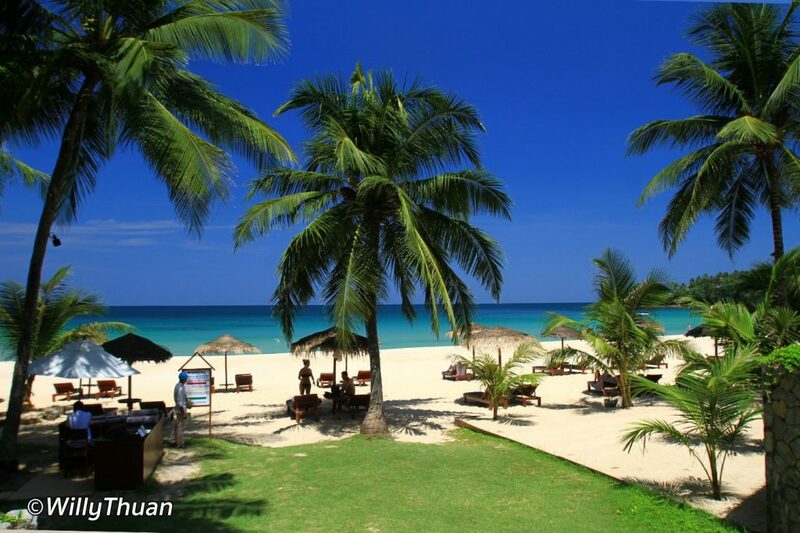 The name of the resort is a little confusing: it’s called ‘The Surin’ but is built on the next beach called Pansea Beach‘. I forgot to ask why, however, this is one of the best place in Phuket to escape your busy life! 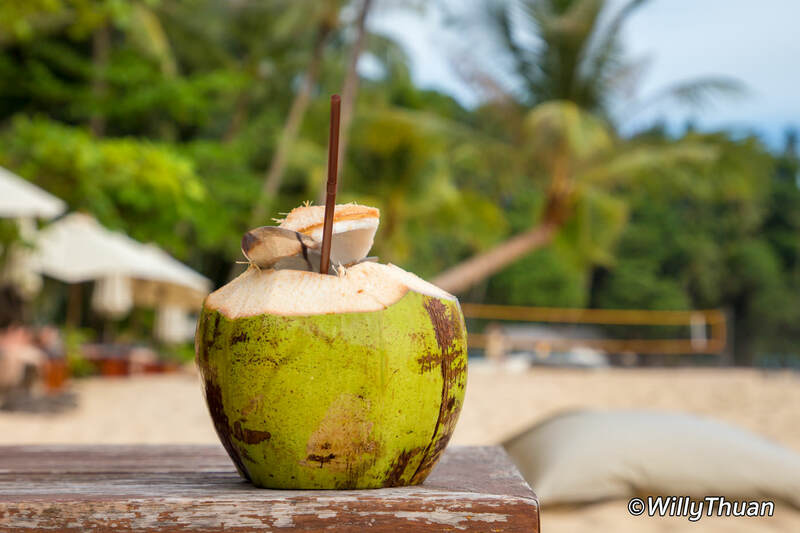 Pansea beach is an exceptionally beautiful strip of soft sand with clear water, totally unspoiled and mostly untouched by vendors, noisy jet skis or parasailing. 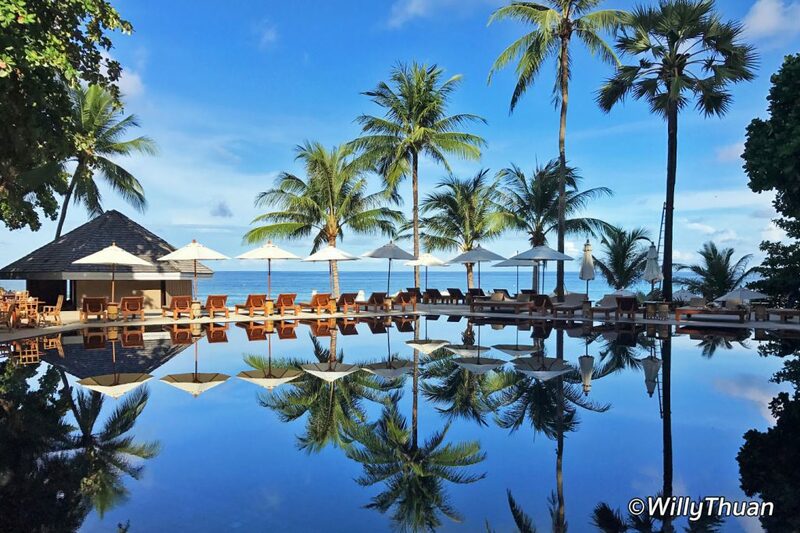 This is because only the guests of the hotels can walk on it: The Surin and the famous Amanpuri resort. 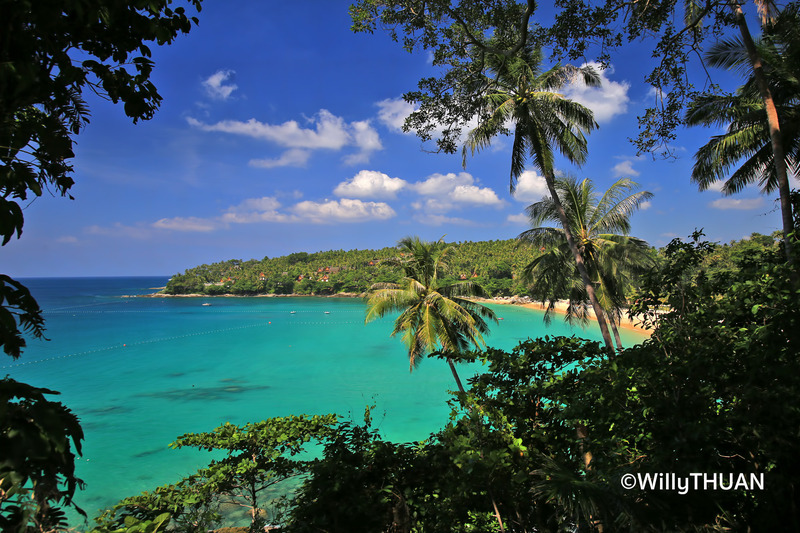 Of course, as we all know, there are no private beaches in Thailand but in many cases the hotel owns the land that surrounds it, which ends up being the same. 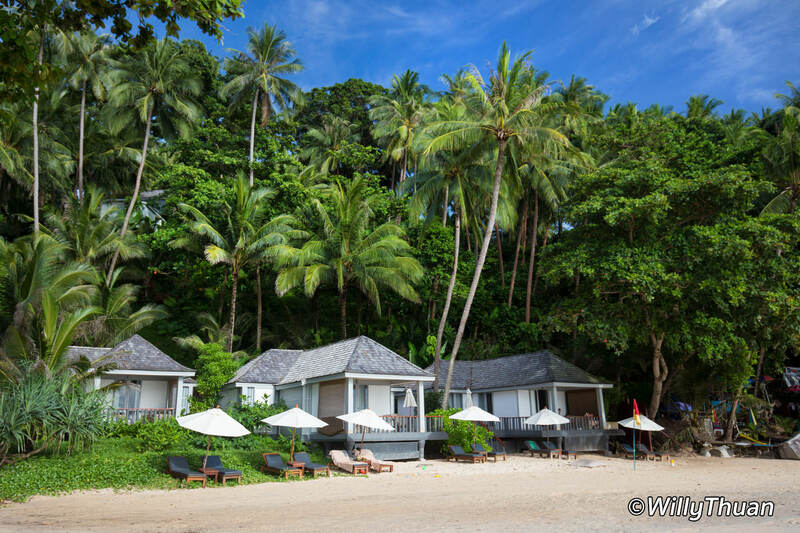 The Surin is partly built on a gentle hillside but the most popular cottages are obviously those right on the beach! 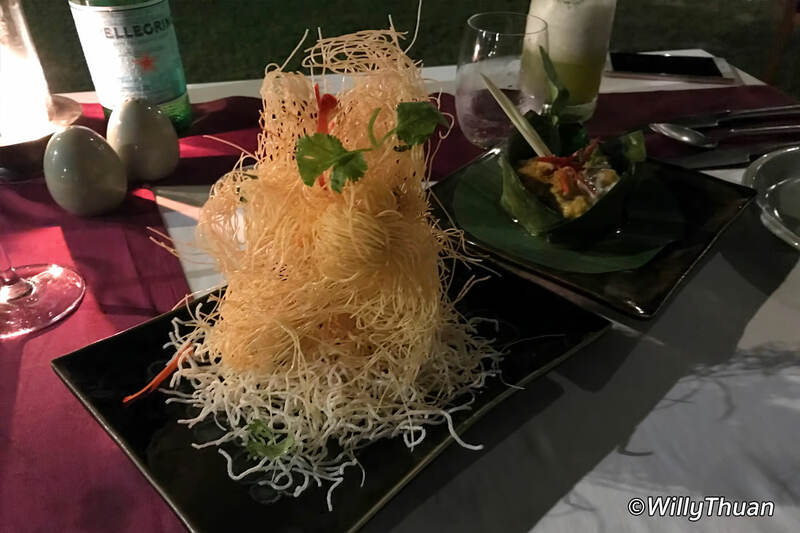 Of course those come at a higher price but once you sit on your own balcony loungers above the sand and facing the amazing blue colour of the Andaman sea, it all makes sense. Just look at the photo below! 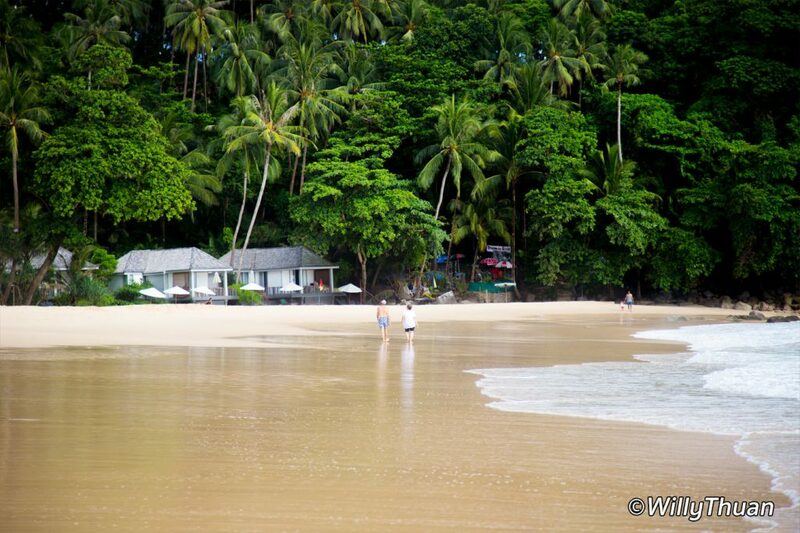 The cottages or villas are well designed and blend-in beautifully in the green tropical forest. 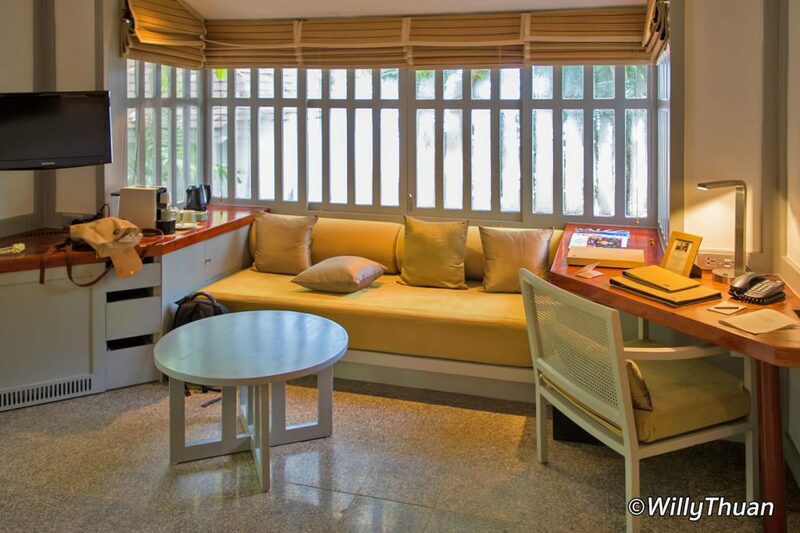 The hotel being one of the oldest in Phuket it probably was a challenge to keep the design attractive along the years. 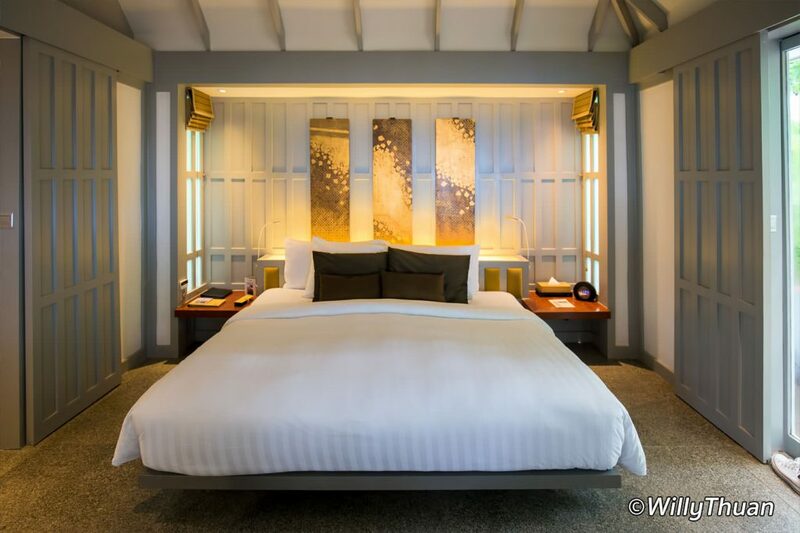 Travellers are more and more demanding when they pay the high price, but The Surin managed to keep an elegant modern Thai design with all the facilities and service of a 5 star hotel. We loved the spacious bathroom and generous luggage storage, comfortable sitting and working areas and terrace give you all the space you need. Amenities are generous, free water is always expected in Thailand since you can’t drink from the tap, but free espresso is always very welcome when you plan to do some work in your villa. The main building with its high wooden pillars standing above the iconic hexagonal black pool is often the image used to represent the hotel. This beautiful pool is not immense but the location just by the sand makes it unique. 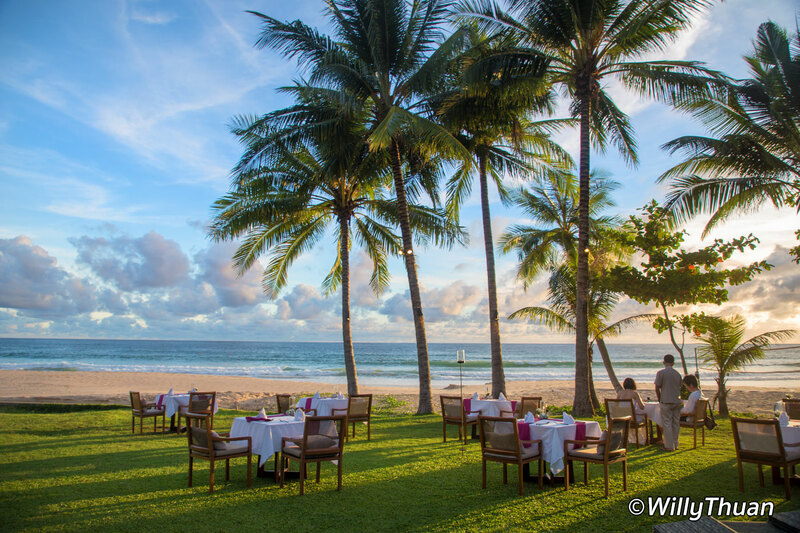 The Surin has 3 restaurants: Beach Restaurant (Thai Cuisine), Sunset Cafe (Breakfast), Lomtalay (Thai food and seafood). Since the removal of the beach clubs and restaurants from the nearby Surin beach, you probably will try them all, which in a way is a good thing. 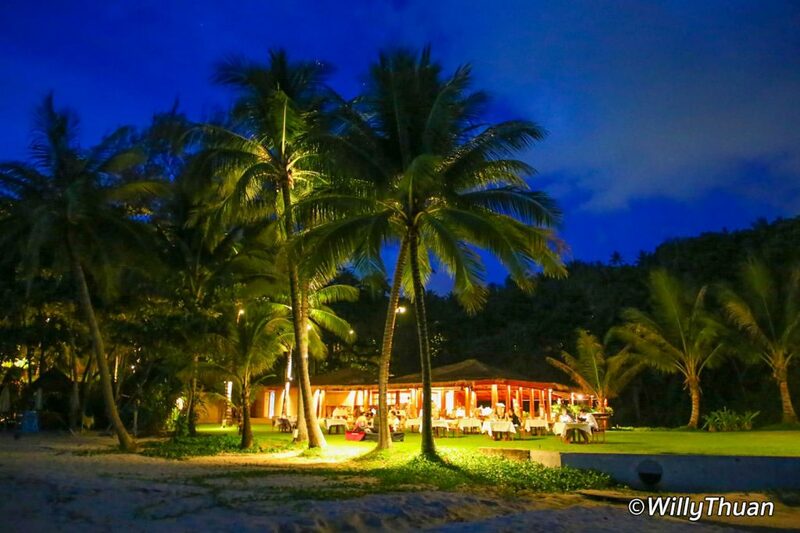 We had dinner at the beautiful Beach Restaurant set on the lawn by the beach under immense coconut trees. It’s hard to get a more perfect setting and you should really try it. 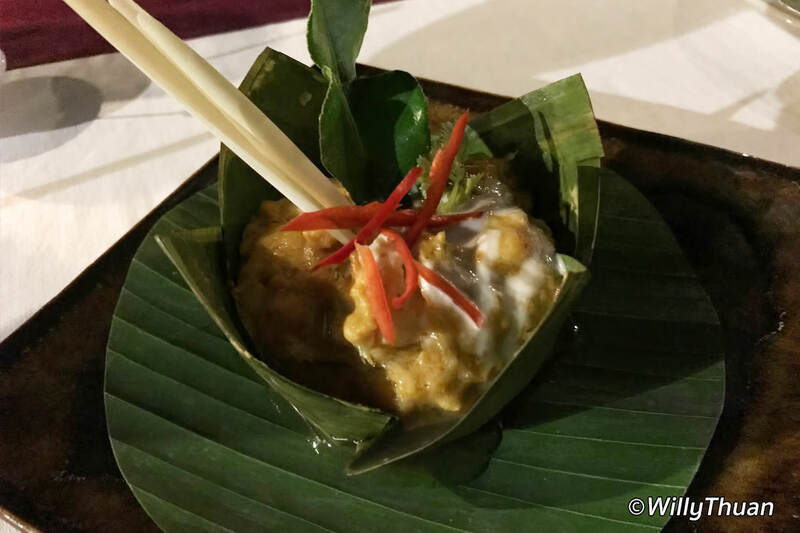 Food was even better than we expected as sometimes hotels tend to tone down Thai food, but what our food was really Thai, and really good. Breakfast buffet is served at Sunset Cafe at the top of the main building. Nice setting but we found it a little weak, especially (and surprisingly) Thai dishes such as noodle soup or rice porridge. There is not much to do around the hotel since Surin beach clubs and restaurants were removed out, but some of them reopened on the nearby Bangtao beach, so you will appreciate the water sports available on the beach: Paddle boards, windsurf and catamaran sailing and you can borrow snorkeling gear to explore the rocks at each end of the beach. Yoga is also available twice a week, perfect in this tropical and relaxing setting. The fitness room is well equipped but a little small considering many guests seem to be health conscious. There are only 2 treadmills, but you can run on the beach if the heat doesn’t affect you too much.